This is my full sized Cosmic Mix Multi Colored Czech glass car rosary. 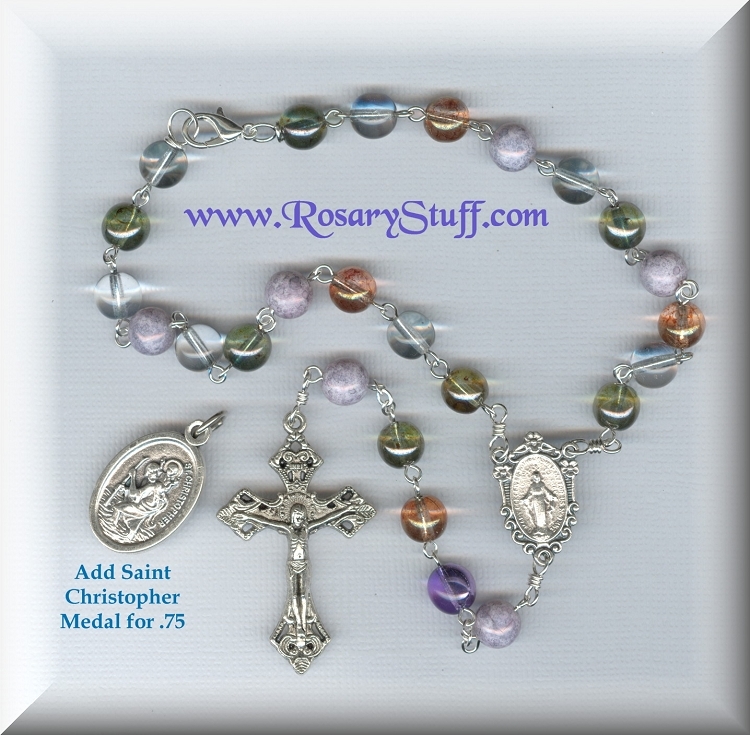 Since these beads have been discontinued, this will be the only rosary available using these beads. We can even add a St Christopher medal (patron of travelers) to the crucifix for you for only .75. If you would like to get more information about what colors and parts are available in this price range, please contact me.